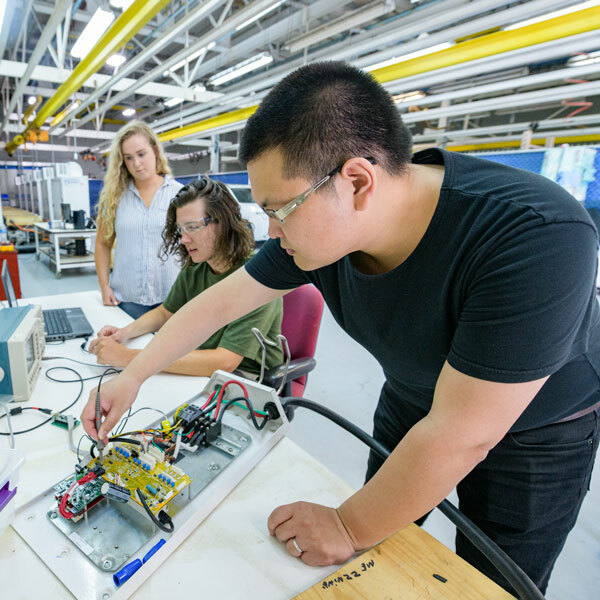 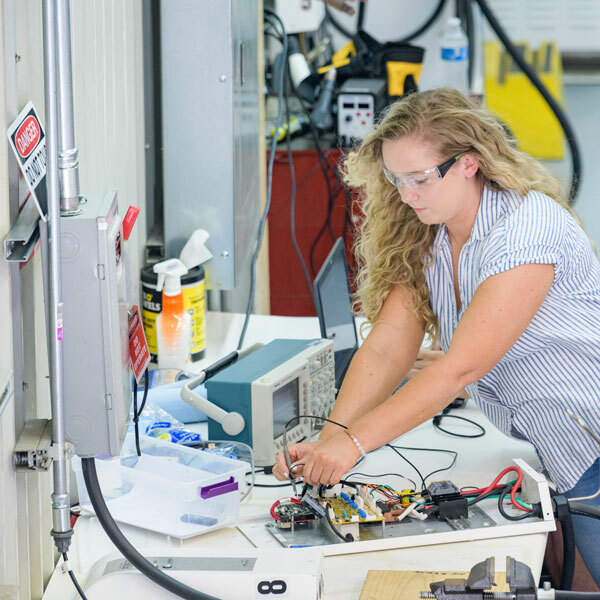 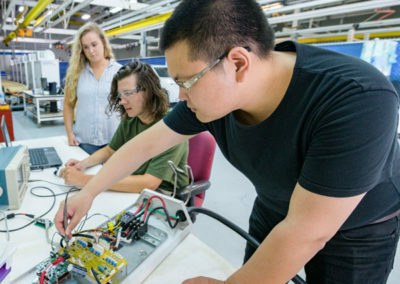 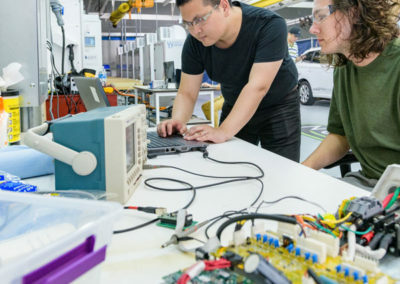 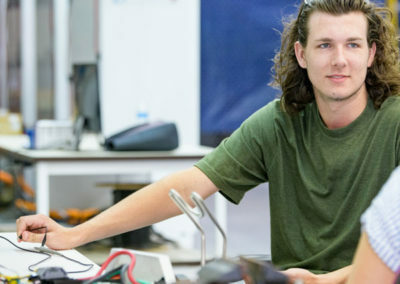 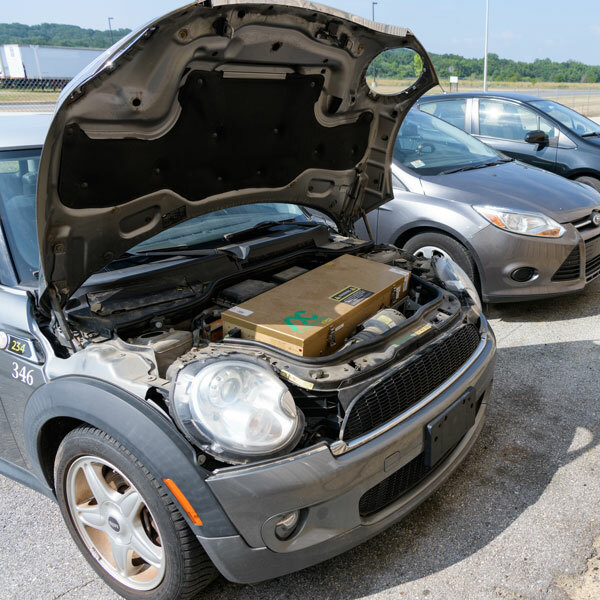 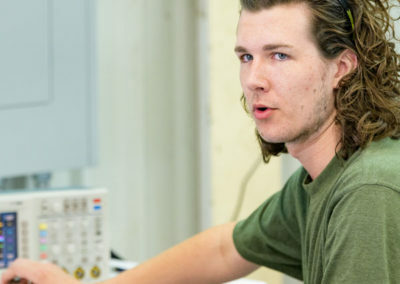 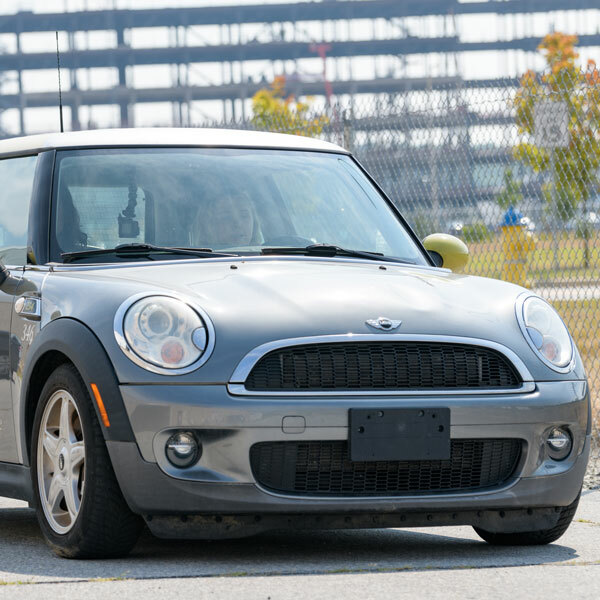 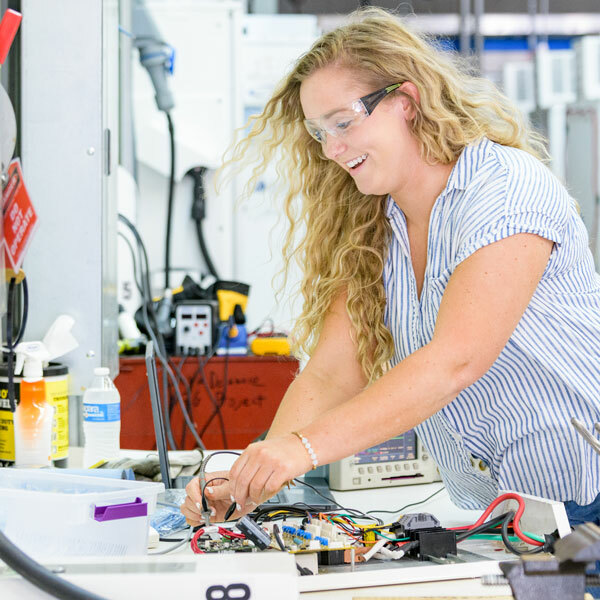 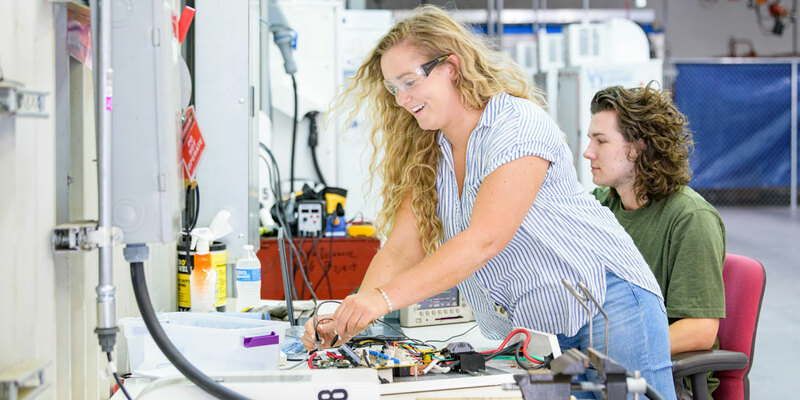 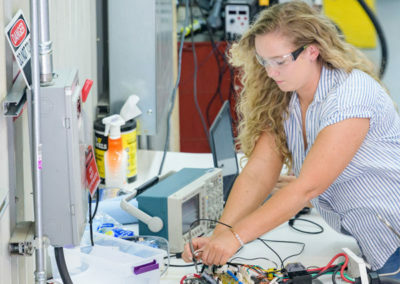 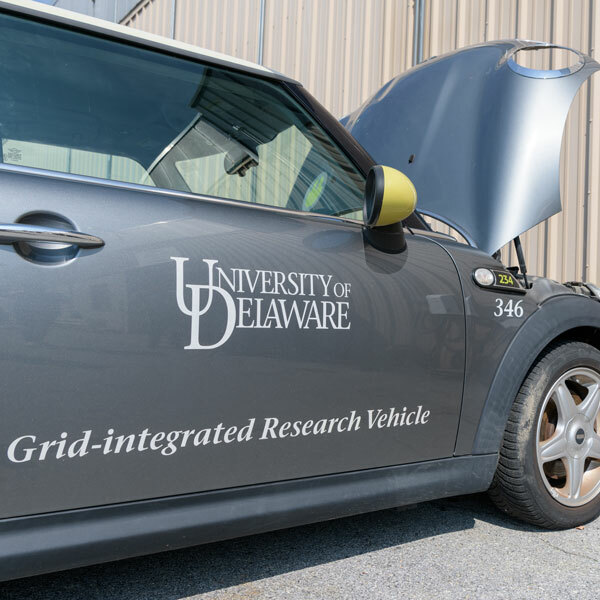 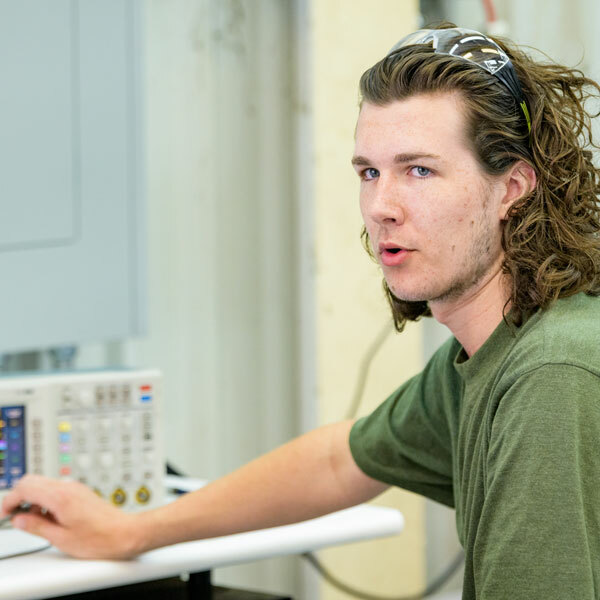 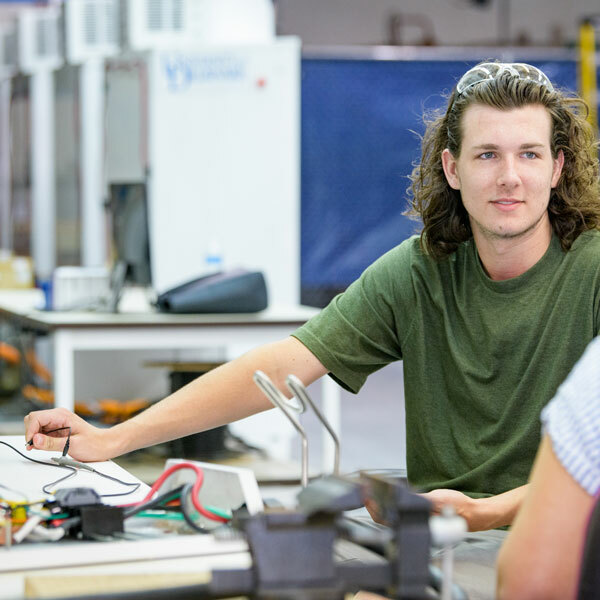 Undergraduate electrical engineering students Samuel Matylewicz and Jenny DeFriece are working on vehicle-to-grid (V2G) technology, a pioneering transportation technology developed at UD. 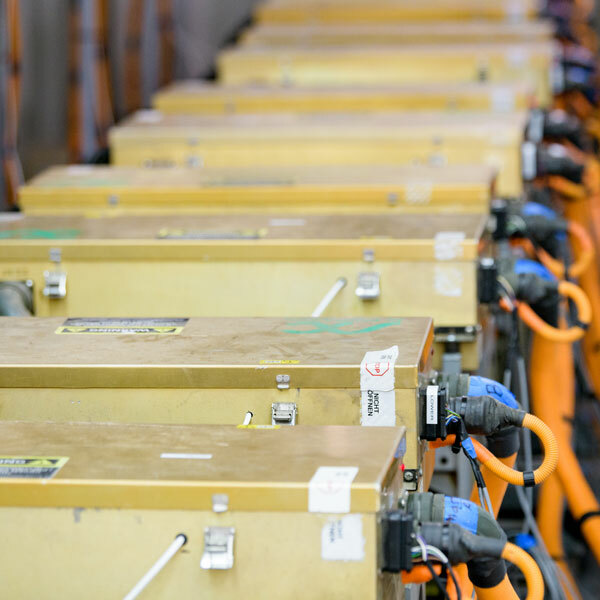 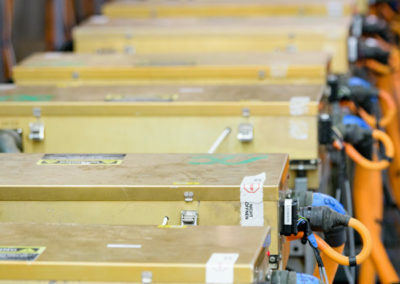 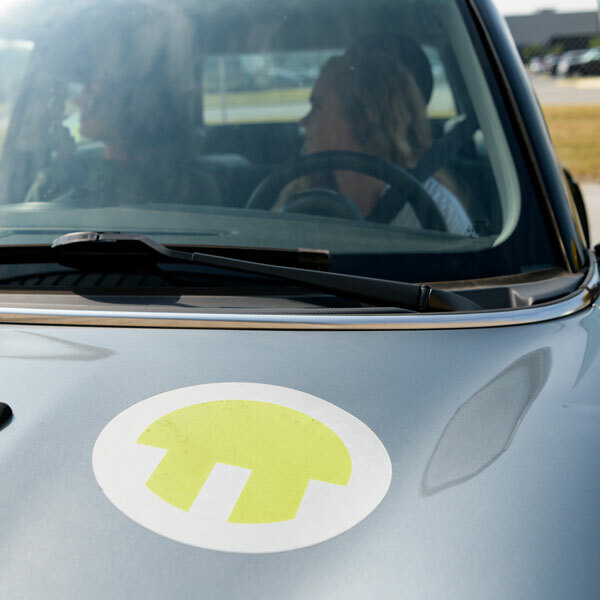 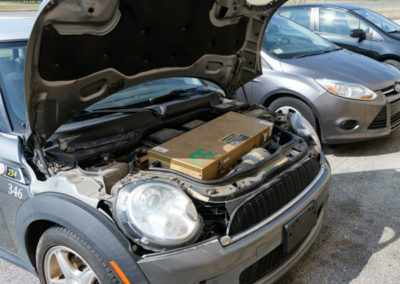 Electric vehicles with V2G technology can charge or discharge their batteries back to the electric grid. 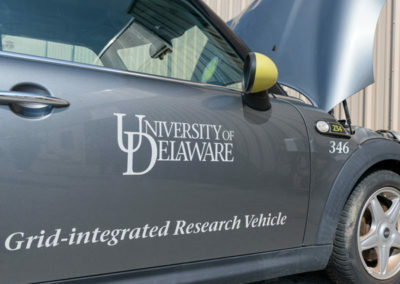 The visionary behind the V2G technology is Willett Kempton, research director of UD’s Center for Carbon-free Power Integration and a professor in the College of Earth, Ocean, and Environment (CEOE). 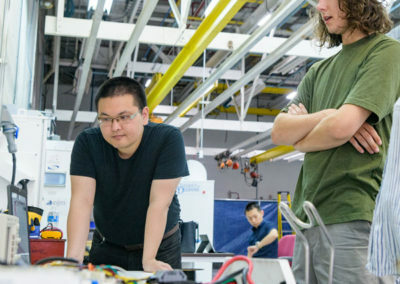 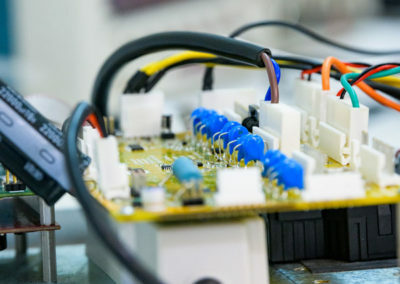 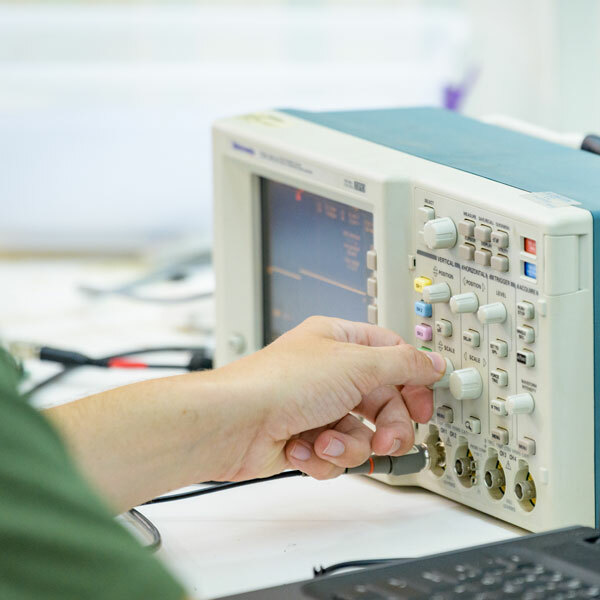 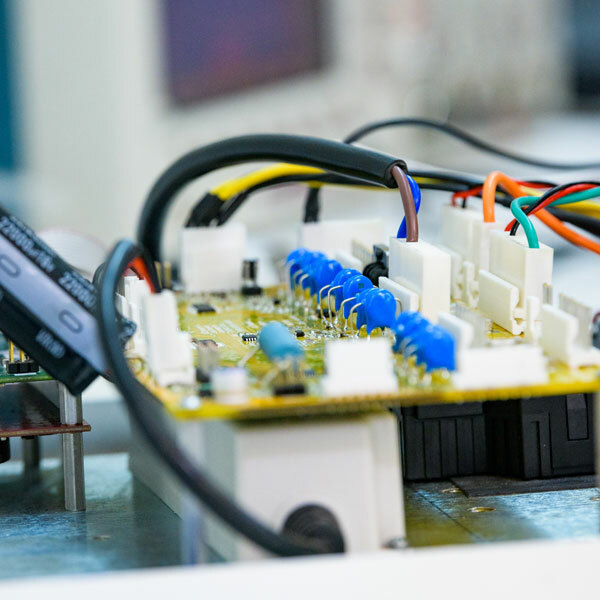 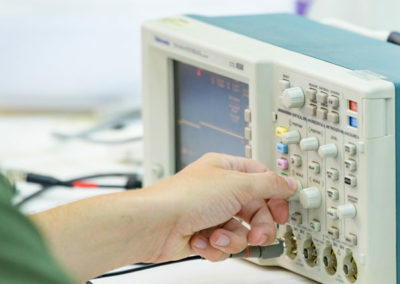 He worked with a team of UD researchers and students including Fouad Kiamilev, a professor in UD’s Department of Electrical and Computer Engineering, and Rodney McGee, lead electrical engineer on the project, to develop the software and hardware to make V2G happen. 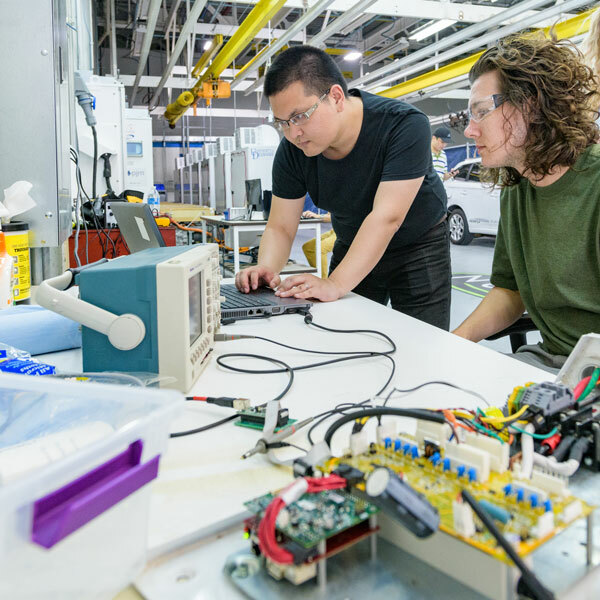 Under the leadership of Kiamilev, Matylewicz and Defriece work alongside engineers from Nuvve, a Delaware company based in California, which gained exclusive global rights to market V2G technology in 2016.